A psychological, technological and emotional anime that analyses society and the role technology (and especially the internet) plays in people's lives. As this anime was produced before the 21st century, you could have imagined the rise of technology that have influenced our lives since then. Let me start of by saying that this anime is definitely not for everyone to watch. Why? Simple because it revolves around a deep meaning of how technology and especially the internet has slowly and subconsciously taken over our lives without us knowing. We take the internet for granted and every action we take each day will involve some sort of communication using the internet. What does Serial Experiments Lain show us before the end of the 20th century? We see here a fictional world where "The Wired" (internet) is prevalent in society. This is widely used by members of society and where everyone uses it to communicate. Lain, the main character of the story discovers what is "The Wired" and how it influences everyone's lives whether for better of for worse. The hidden truths and lies are all related to "The Wired". Serial Experiments Lain is an in-depth anime and may get confusing at what is going on. Once you have completed watching the series, you will slowly understand the structure and underlying message of the story. The main focus itself is not on Lain, but rather the whole picture itself, from the environment she is in and to society itself. The art is unique and different from any other anime. Visual representations are not what they seem, and we see the constant "influence" of "The Wired" in the places Lain seem to be. This was the first time that the art really made me think deeply at what the imagery is trying to tell me. The characters were plainly characterized and were not that memorable, but the anime was not meant to focus on the characters themselves. Overall, the art was decently enough to be enjoyed as it is, although the massive computer in Lain's room is just totally awesome with cooling pipes and metallic structure everywhere. The series relies on a minimalist approach to sound and music. Dialogue is sparse, but very profound. Sound effects are seldom used but with brevity, and has a lasting impact on the viewer. Once again, this lack of a quality that would normally be detrimental to an anime’s enjoyment, but becomes one of Lain’s strengths. The sound of the electricity running through power lines, the empty sound of Lain typing on her keyboard, and the scarce use of music. These are all memorable pieces of sound effects that adds to the overall impact of the show. The anime heavily relies on Lain and Lain herself. The other characters pretty much play a minor role here except a certain few who somehow tries to stop her in "The Wired". By no means is this anime an interesting anime character-wise, but we see a deep connection from Lain in "The Wired". You will asking lots of questions about who Lain is, what is she doing, why is she doing it and what is her true intentions. Lain also shows some psychological imagery that gives us some background information to who she really is. Is she a real human or not? Overall, I have to say that it was pretty enjoyable to watch. Enjoyable meaning you really have to think hard about the underlying plot of the story. It is not a light anime for you to simply sit down to watch in your free time. It will definitely make you think, and if you don't, you will get helplessly lost and confused. After only watching it once, I am still pretty confused at what happened, but after some additional research and some thinking I managed to get a vague idea of the story. Complex and confusing, but enough to still make sense. Makes you think hard at what is going on. Pretty decent for a pre-2000s anime. The unique art style is widely used here. Minimalistic sound is used throughout the anime. Rather the ambient environment is used to indirectly affect the audience's emotions and feelings. Not heavily focused on character representations or minor characters but rather Lain herself. Definitely a thinker anime. Makes you think. Hard. 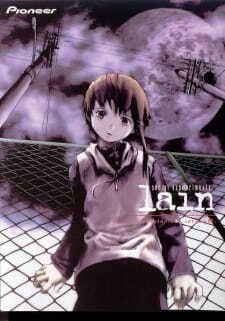 If watched with an open mind, Serial Experiments Lain will do more than simply entertain. It will make you think and view technology in a different perspective.